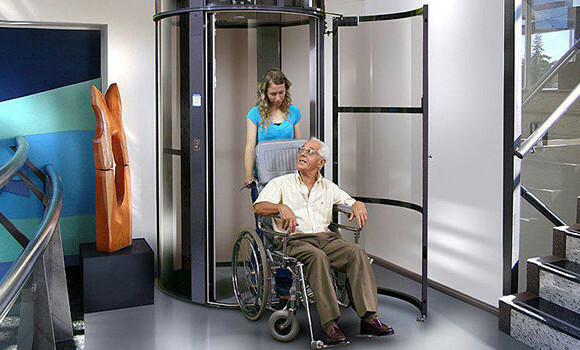 Stair Lifts, Used Stairlifts and Stairlift Rental in Indiana, Kentucky, and Ohio! Home stairlifts are a simple way to traverse your stairs when climbing them is a challenge for you, and they’re easy to install and maintain. 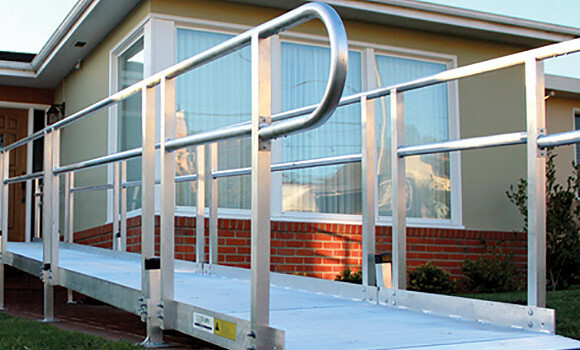 Home stair lifts can be modified to fit any staircase inside, or outside, your home. Our stairlifts can take passengers up curved or spiral staircases and across flat landings – our innovative designs accommodate such stairways with ease. The seats are comfortable, swivel, and fold manually or automatically when you’re not using them. If you have trouble climbing up and down your stairs, a stair lift from Custom Home Elevator is a great solution. 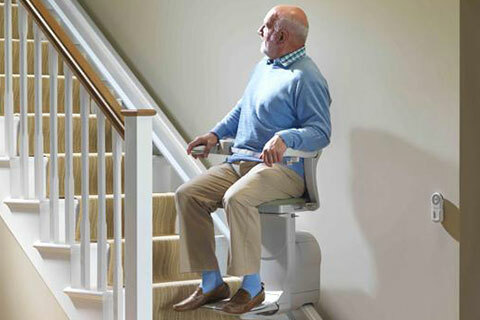 Stairlifts are comfortable to use and easy to operate. 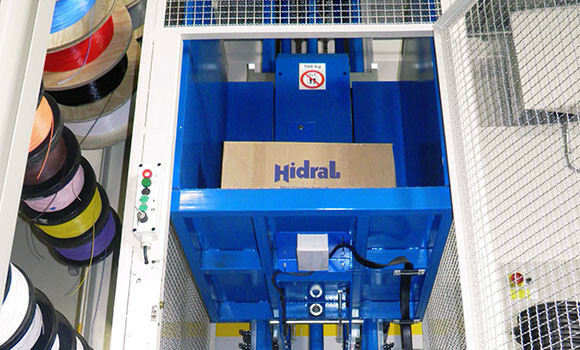 The chair moves up and down a track between floors with an easy touch of a button. The seat bottom and foot rest will fold up easily to be out of the way for others to use the stairs, and the swivel seat turns away from the stairs at the top of your landing, enabling you to get on or off your lift safely, with comfort and ease. 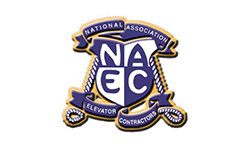 Let Custom Home Elevator help restore your ability to use your stairs with confidence. You shouldn’t have to leave the home you love because of your staircase. Home stair lifts from Custom Home Elevator are practical, affordable, and are the perfect solution for you to age in the comfort of your own home. 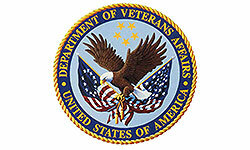 We can help restore you independence! 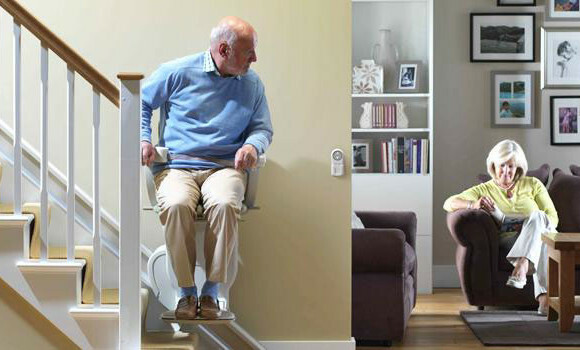 It’s easy to own and use a stairlift from Custom Home Elevator. 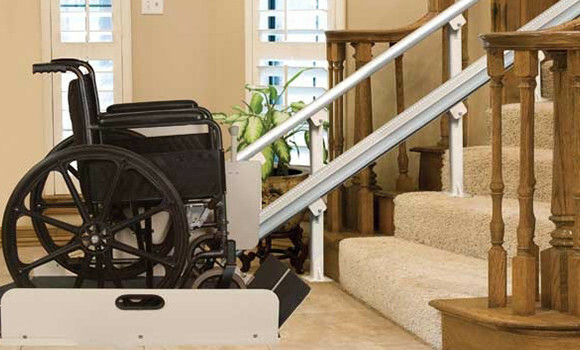 Stair lifts are not fixed to the wall but are usually installed directly onto the staircase. There are very basic components to your stairlift – a track fitted to your stairs with its power pack, and a seat fitted to your comfort that suits your needs. You operate the lift by flipping a switch or pushing a toggle in the direction you want to go; when you let go, the chair stops. 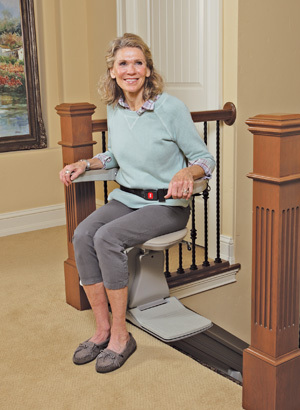 The great thing about stair lifts from Custom Home Elevator is that while they’re plugged in to your standard power outlet for monitoring and charging purposes, your stairlift is battery operated – it will work even in the event of a power failure! 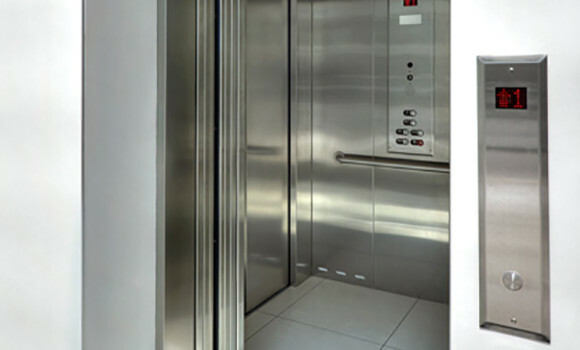 Custom Home Elevator can complete your stairlift installation in as little time as half a day, minimizing the inconvenience to you and your home. We have a number of options to choose from, and we make buying your stair lift easy – purchase new or reconditioned products, participate in our buy-back program, lease your stairlift, or take advantage of our product rentals. 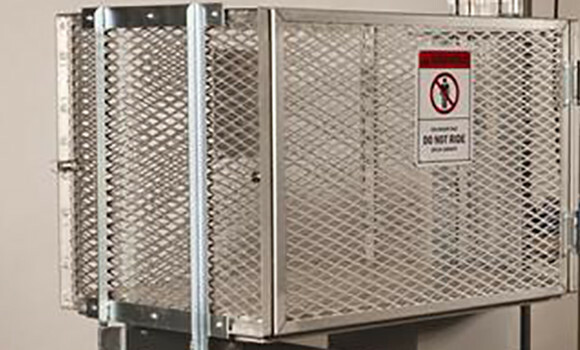 Custom Home Elevator wants you to feel safe and comfortable in your home. 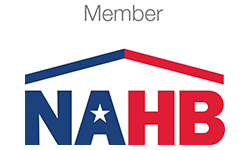 Contact us today for a free consultation – we’ll bring our showroom to you!